Australia and Honduras are currently in the midst of a two-leg playoff for one of the last available World Cup spots. The two sides played to a scoreless draw in San Pedro Sula last week, and they’ll meet again in Sydney on Wednesday for the rubber match. Tensions are obviously high between the two teams, and this morning, the Hondurans accused Australia of spying on their training session with a drone. This was the second incident at Honduras’ practice, as the team reportedly got mad at the local press and banned them from the training ground despite FIFA regulations which stipulate 15 minutes of open practice. 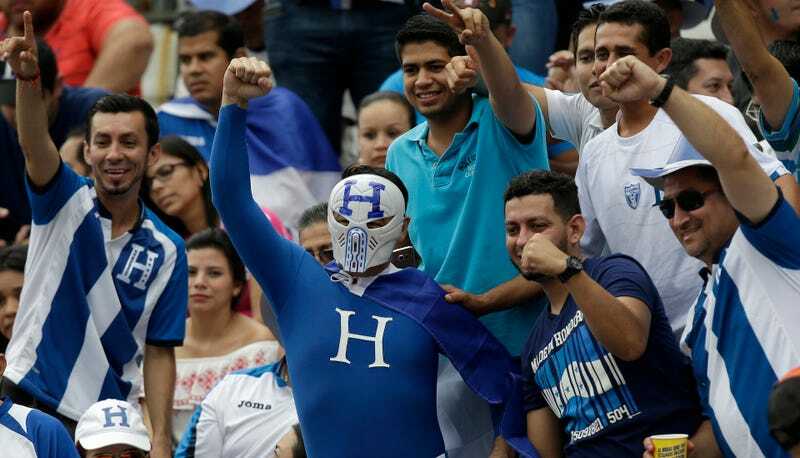 And to think, the USMNT could be in Honduras’ place if they hadn’t set themselves on fire in horrifying public fashion.